The Islamic Speakers Bureau had organized “Islam 101” program designed to familiarize Islam to the community at large. Indeed, it is our responsibility to know each other, when we do that, conflicts fade and solutions emerge. God in Quraan 49:13 says that the best among you are the ones who learn and understand each other. Most of the issues we face as communities within America are a product of living in silos with social, religious, cultural, racial and ethnic boundaries around us. Unless we connect with each other, our energies would be spent on gossiping about others, living in phobias, frightening myths and plain distrust of others, this binds us to these human ills. We need to get out of it and live and breathe the air of freedom without apprehensions. Yes, we can do that. We must appreciate the efforts and drive of at least a few Imams in our region; Imam Dr. Yusuf Zia Kavakci, Imam Dr. Zia Shaikh, Imam Yaseen, Imam Yahya, Imam Mujahid, Imam Zafrullah and Imam Shakoor to name a few. 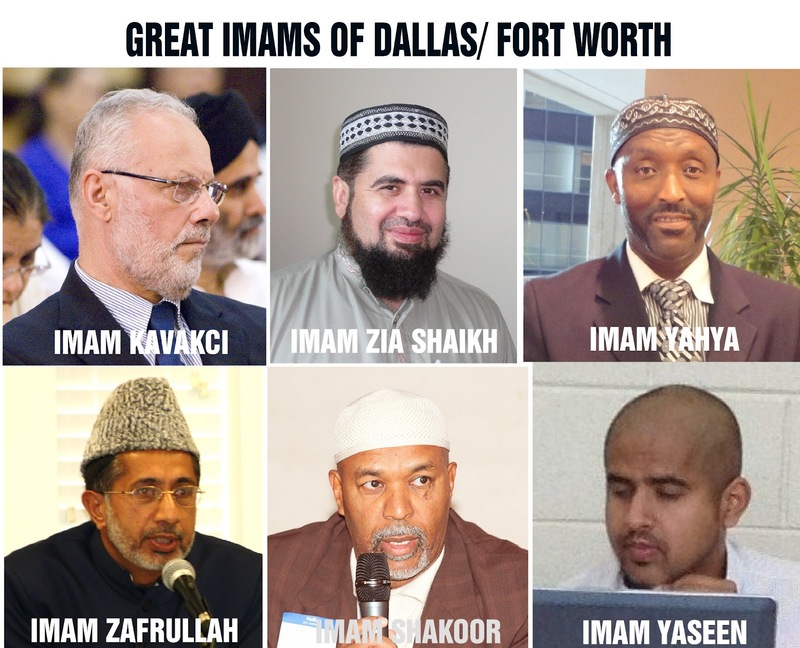 I am sure we have a few other great Imams, but these are the ones I am familiar with and in touch with. I know Dr. Kavakci and Dr. Zia Shaikh fairly well and have worked with them on many events. However, I was looking for an opportunity to know Imam Yaseen, and I am glad I attended the Islam 101 at Plano Mosque today. I listened to Imam Yaseen intently, wanting to know how his talk will contribute towards making America a better place for everyone to live and let live. He is right on, and is as committed to invoke the “to know each other” and “social justice” aspect of Islam as frequently as I do, as an American Muslim. Gone are the days when clergy of most religions thrived on finding faults with other faiths, people never questioned that. Thanks to these Imams for genuinely sharing the values of Islam such as truth, justice and accountability of one’s actions. Our right wing media plays a broken record that Muslims teach hatred in the Mosques, and shamelessly some of our Muslim brothers and sisters sing along with them. They need to wake up from their sleep, and see the world around them, that is different than it was when they went into the slumber. They need to visit these Mosques to find the truth and hopefully change their perceptions about Muslims. The Islam 101 program started with a caveat that this is not an attempt to convert, but to present our point of view. Indeed, that was similar to the introduction at the Quraan conference2 event held in December 2010, it was to separate the myths about Qur’anic verses and not to sell the religion. One of the corrections we need to make is the utterance that Islam is the most diverse religion in the USA, nay, Christianity is more diverse than Islam in America, followed by Islam and the Baha’i faith. Islam rather brings most diversity in one place of worship, even though we have a few private mosques, where a certain homogenous group of people go, but most mosques are diverse and open to all Muslims. If you attend the Mosques in Irving and Richardson, you will find God’s full creation in attendance at the Friday congregational prayers. It may be the case with other mosques, but I have not been to all of them yet. So, the next time you see ISLAM 101 at Plano Mosque, make an effort to attend it, it is a comprehensive program. I recommend that the Muslim council of North Texas develop a common presentation to be used in all Mosques. However, I must caution that I have attended a few 101’s that are a turn offs and almost border on reinforcing the negative perceptions of Islam to the non-Muslims, of course, you will find that in most 101s of different religions, all of us need to get out of the little holes we live in, and see the big world and be a part of the universe. The creator we believe in, is the lord of the universe and not just the lord of Christians, Jews, Hindus, Buddhists, Muslims or others, and our talk should reflect that Universality “Aalameen” of God, and not reduce him to be puny God of Muslims or Christians. God willing I am set out to produce a film called Americans together building a cohesive America, where no American has to live in apprehension, discomfort or fear of other, the trailer is ready to be viewed at www.AmericaTogetherfoundation.com . On the same principles, we need to work on building a cohesive Muslim society, where no Muslim feels alienated with other Muslims. If you have the will to be a part of the larger Muslim community without barriers, Insha Allah, I will have a schedule out for Ramadan at http://RamadanExclusive.blogspot.com . This would be the third year of Iftaaring in each Mosque. We have to shed our bias and prejudices, and visit each mosque, the ritual prayers and Iftaar sequence will differ in each place, but you have to accept and respect their way and drop the arrogance that yours is the only right way. I have documented some of the differences at the Ramadan blog. Insha Allah, we will be visiting the mosques of the following Muslim denominations; Sunni, Shia, Bohra, Ahmadiyya, Sufi, WD Muhammad, Ismaili, Salafi, Ahle-Sunnat and others. If you know a different denomination other than the listed, let’s put it on the list. You can do your own program, but if we all can follow a schedule, it will make a difference. I can take 4 additional passengers with me in my SUV, and if each one can pool, it would be great. It’s for men and women, seniors or youth, all are welcome. Mike Ghouse is committed to nurturing the pluralistic values embedded in Islam. The role of a Muslim is to mitigate conflicts and nurture goodwill to create cohesive societies where all of God's creation can co-exist in harmony. More about Mike at www.MikeGhouse.net indexing to his blogs and sites. I'm looking forward for this Ramadan 2012. Hence my greetings to all of you. May you all have peaceful and happy Ramadan.